What drives the price of an equity? Recently I was posed a question about what drives the price of an equity. Despite equities forming part of most of our portfolios, and constitute a huge part of global wealth storage and generation you would be surprised at how different people’s interpretation of equity investing is. In the following, I attempt to tackle the more pertinent features of equity investing. Equity prices are generally influenced by three main forces: fundamental factors, technical factors and market sentiment. Fundamental factors refer at its most basic level to earnings. As an owner of a common stock, you have a claim on the earnings generated by a company. When you buy a stock, you are purchasing a proportional share of an entire future stream of earnings. Relatedly, typically the higher the anticipated earnings that a company can generate, the more valuable that proportionate share is, and hence the more expensive. This gives rise to the concept of the valuation multiple, i.e. the price you are willing to pay for the future stream of earnings. The more likely (in terms of magnitude) earnings are expected to increase in the future, the greater the multiple at which the stock will trade. We can think of the future earnings stream as a function of both the current level of earnings and the expected growth in this earnings base. Companies that have huge future earnings potential, but low current earnings are called “growth stocks” and typically trade on a high multiple (e.g. technology stocks). On the other hand, larger, more stable, dividend paying companies are called “value stocks” and trade on a lower multiple (e.g. utility stocks). The price behaviour and subsequent risk of these two broad types of equities can vary considerably. To equate this disparity in risk, the future earnings stream are typically “discounted” (due to the reducing time-value of money) at different rates, depending on the level of risk. The more uncertain the future cashflows and subsequently higher the risk, the greater the discount rate which will be applied to these cashflows, resulting in a lower intrinsic value (theoretical price). The second broad category of factors that affect equity prices are technical factors. These include a mix of external conditions that alter the supply of and demand for a company's stock. Some of these indirectly affect the fundamentals of a stock, for example economic growth. Other factors include inflation, economic strength of peers, as well as the performance of other asset classes e.g. commodities as an input to raw materials. The magnitude of the effect of technical factors on a stock’s price varies by industry and underlying correlation. The liquidity of a stock is often a key fundamental factor, as a stock which has low liquidity may not fully “price-in” new news that would otherwise affect its’ share price, thus creating a distorted picture of the current market value. 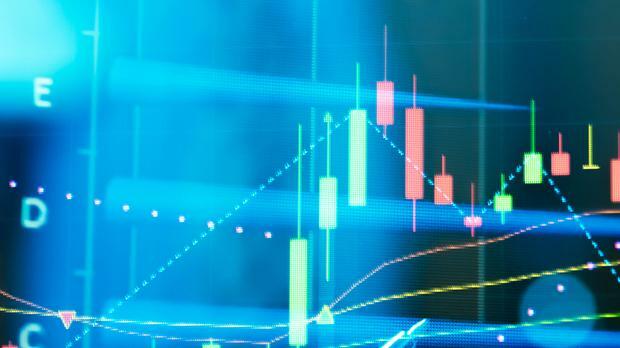 Market sentiment is often characterised by the current trend, whereby a stock simply moves according to a short-term trend. A topical example would be the cryptocurrency universe over the past two years, whereby a stock that is moving up can gather momentum, as "success breeds success" and popularity buoys the stock higher. Unfortunately, because trends cut both ways and are more obvious in hindsight, knowing that stocks are "trendy" does not help us predict the future. Many investors who attempt to trade sentiment end up on the losing side as they lack the fundamental basis in their decision making, and subsequently sell their upside too quickly and hold onto a losing position too long. Market sentiment is often subjective, biased and obstinate. An investor could very well make a correct judgement call about the prospects of an equity, but it could take time until the wider market comes to this realisation, sometimes even years! The basis for sentiment is psychology and behavioural finance, a developing field of study amongst financial academia and one which is becoming actively more relevant. In summary, equity prices are driven by various forces, and their relevance is dependent on the general investor’s sensitivity to each individual factor. Short-term investors and traders tend to incorporate and may even prioritise technical factors whilst long-term investors prioritise fundamentals as they view it as the long-run price. Behavioural finance fills in the gaps where anomalies in the market occur as traditional financial theories cannot seem to explain everything that happens in the market. Disclaimer: This article was issued by Simon Psaila, Financial Analyst at Calamatta Cuschieri. For more information visit, www.cc.com.mt. The information, view and opinions provided in this article is being provided solely for educational and informational purposes and should not be construed as investment advice, advice concerning particular investments or investment decisions, or tax or legal advice.